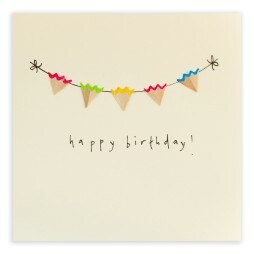 Celebrate a birthday with a string of colourful bunting. 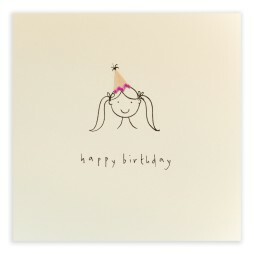 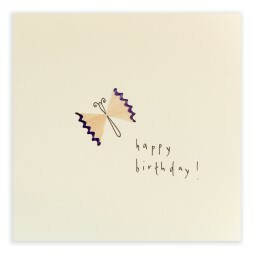 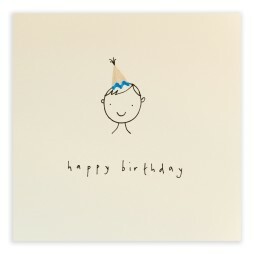 Beautiful birthday card featuring delicate butterfly with pencil shavings wings. 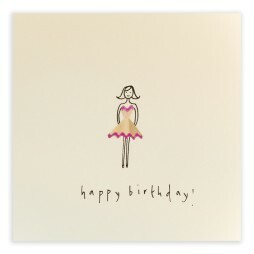 Our popular birthday girl gets a cocktail dress for a lovely new look. 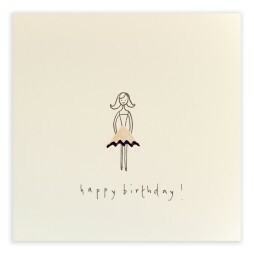 Happy Birthday girl wearing simple pretty skirt.